Go Code Colorado is a state-wide event to innovate on top of Colorado open data. Android Atelier went to Challenge Weekend in Fort Collins. We wanted to use CartoDB to visualize the geo data on the map, so we went to Maptime Boulder to learn about it. How are we going to create value? By showing multiple sets of data on the same map. The different layers made it very easy to parallelize the work. We looked at different data sets and scrubbed the geo data to put it on the map. Two teams advances per location to the final round. SWO, or Shop Women Owned, crosses the Colorado business entities with the Social Security Number gender data to showcase women-owned businesses in Colorado. 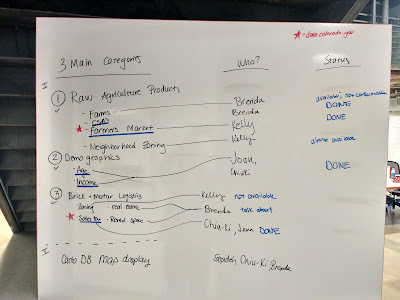 They had a great pitch, and made us realize that we were taking the problem statement too literally. At the end of the day, this is a business pitch competition. Helping businesses build a competitive strategy (Where will I play? How will I win? Is it worth it?) was not a hard requirement. As long as public data is used, any business plan is fine. In this case, SWO promotes women-owned businesses in bulk, without necessarily helping them build a competitive strategy individually. 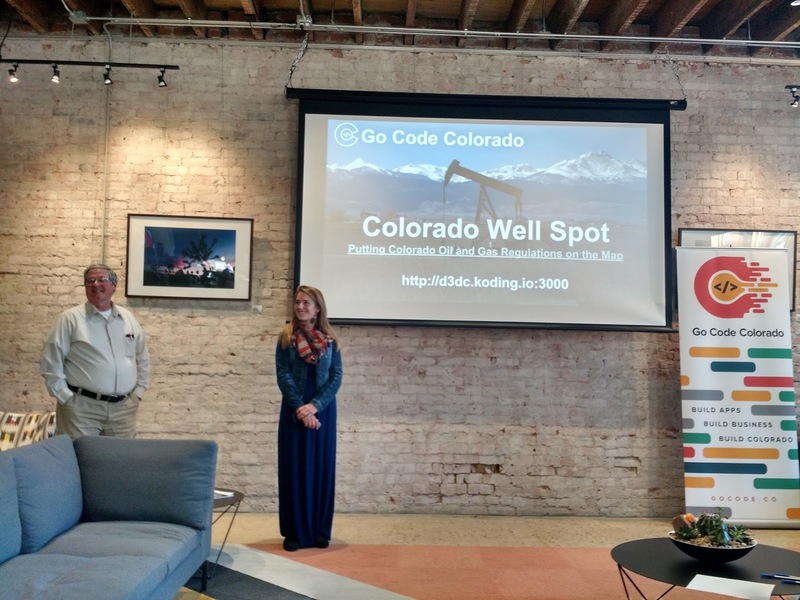 Colorado Well Spot aggregates public data to help oil and gas companies figure out where they should operate. You would think that they would check and make sure not to drill too close to a school, or right of top of a pipeline. Turns out the data is scattered all over the place, and there is not really a good way to do a comprehensive check. Emily Hueni, the leader of the team, is a GIS specialist with oil and gas experience, and really understands the problem. Once she started talking about the app, we knew they were going to win! CartoDB is really nice. I like how I can extrapolate from my existing knowledge of SQL and CSS to customize my map. Even though we did not win, we had lots of fun exploring and visualizing the data.